No mourners, No funerals. Inspired by an illustration/quote from The book Crooked Kingdom. 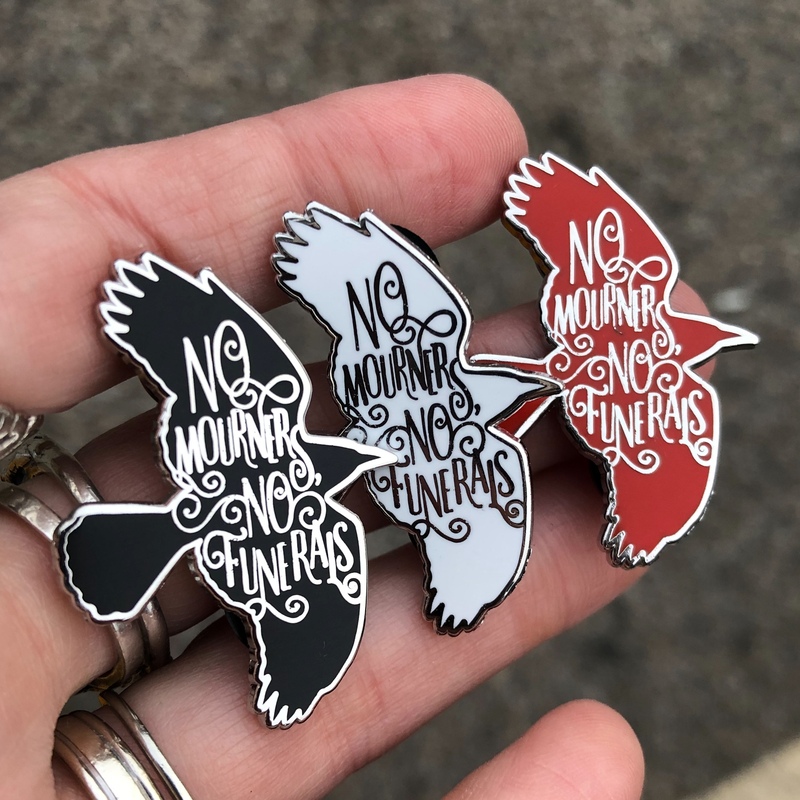 This is a hard enamel pin with glossy silver colored metal.